Our Invoicing software helps you focus more on your core business and save your time by automating your invoicing & billing process. The list of common issues manufacturers face. Integrate with legacy ERP and CRM solutions for improved workflow efficiency. Renew redundant processes and optimize process ROI. Customize your invoice templates according to business requirements. Client data management, storage and security. Expenses can be controlled and finances managed well. Expense policy can be developed as a guiding factor for teams and managers. Subscription billing can be customised to integrate with existing CRM software. Achieve better client management and retention. Sales and expense reports can be analysed for forecasting of future revenue and sales. Useful for action plan meetings. Detailed invoice ageing and outstanding reports to effectively manage business debtors. Control client credit period and outstanding amount. Bill clients in their choice of currency and language. Ensure transparency in B2B communication and higher client satisfaction. Auto-billing profiles help in automatically receiving client payments online. The feature is useful in getting paid as and when the invoices becomes due. Invoice clients in the language and currency of their choice. Reach out to more clients and scale up your business. Q1. 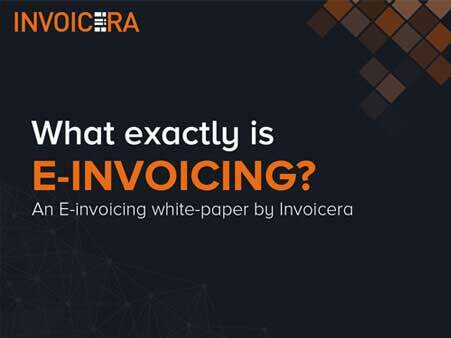 What is the licensing model for Invoicera's Manufacturers billing solution? A.The Manufacturers billing solution is licenced on a subscription model. Q2. How does my billing system get managed? A.We provide a dedicated team of support staff for the management of the billing system. A.Yes, We take the complete backup of the system on the regular basis. We have Scalable network architecture, Provision of disaster recovery & infrastructural facilities powered with latest hardware and software. 4.9 out of 5.0 by 52341 clients for Online Invoicing and Billing Software.